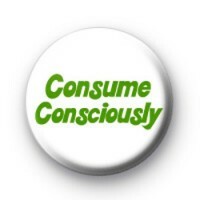 Consume Consciously Badge. Recycle do your bit for the planet. Only purchase what you need!